Weight Per Carton: 41 Lbs. Capturing the charisma of an old English tavern, the English Pub series is meant to bring old world charm together with modern aesthetics. What makes English Pub exceptional is the design of the planks; 7-foot long by 7-1/2 inch wide planks create the look of reclaimed wood from an old ship. Maple wood is sliced to create longer, wider planks that can give a room a broader and longer look. 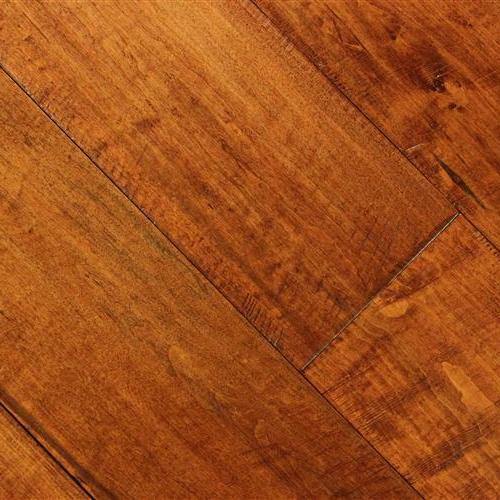 Using a two-step hand-staining process wood grains are enhanced and are offered in a variety of warm hardwood colors. Engineered in construction with a ½” thickness, the English Pub series creates greater stability for long lasting comfort.